Blockchain was invented by Satoshi Nakamoto, a Japanese man in 2009 (Claimed). Initially, Blockchain was used to run the popular cryptocurrency called Bitcoin. Bitcoin is a cryptocurrency that can run without any third-party like banks or other financial firms. The architecture of Bitcoin is open source and no one owns it, allowing you to buy and sell Bitcoins on a peer-to-peer network. Some of the other popular cryptocurrencies are Steem, BAT, Bancor, Golem and Ethereum. Don’t go blank when you come across the term ‘Blockchain?’ It’s no more a buzzword. Well, it’s not hard to understand when you break the word into ‘Block’ and ‘Chain’. Here, a block refers to any record, data or transaction. When you encrypt the blocks and link it to other blocks, it becomes a chain of blocks and in layman language, this is called Blockchain. Each block of the chain comprises a cryptographic hash, transaction or timestamp of the previous block. The term ‘cryptographic hash’ denotes the concept of unique data where hashing is a popular method of cryptography that converts any input data into an unmatched string of text. Strings are only text in computer language and a string of text can contain a set of characters with numbers, letters, punctuation, and spaces. Blockchain is the only technology till date which is quite hard to hack and that’s why it is secure and reliable. It’s a decentralized system of code. 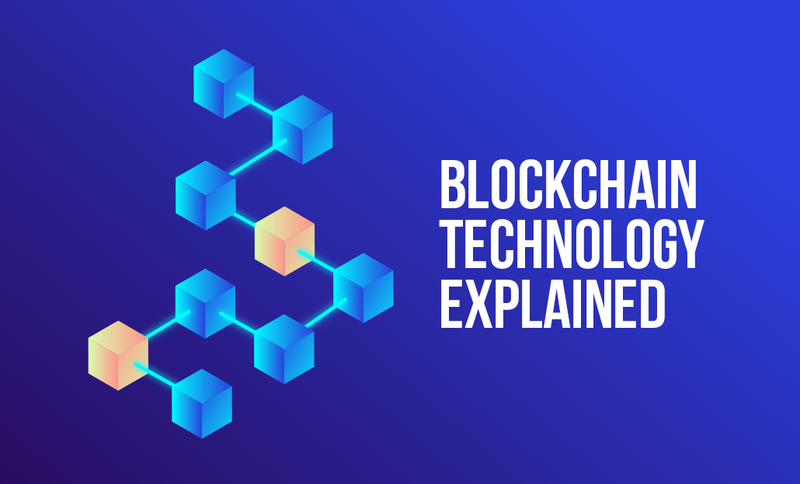 In Blockchain, the data is scattered over various computers on a peer-to-peer network and the data is connected to each other with hashing i.e. unique code. There is an infinite amount of scattered data in various computers and they are interconnected in a unique and unidentified way, therefore it becomes impossible for the hackers to retrieve the data in Blockchain. Firstly, they can’t identify the cryptographic hashing and secondly, they can never get control over the diverse locations of the scattered data. A Decentralized Database: The centralized banks are the perfect examples of consolidated database system where data is stored in a single server. The data in a centralized server is vulnerable towards hacking, malicious attacks, risks of any automatic shutdown, etc. Whereas Blockchain has a decentralized database where data is accessible by everyone. The data or record in a Blockchain database is truly public and easily verifiable. When a user makes a transaction or inputs data in a Blockchain database, every system scattered in the peer-to-peer network verifies the same with a node which is the primary device in the network. It makes a copy of the input data or transactions of a particular token. The above infographic reveals how both centralized and decentralized database looks like. It also explains the data distribution mechanism. Transparency: One of the best things about Blockchain is that it offers unbelievable transparency. In fact, it is an amazing paradox of transparency, security, and privacy. When a user creates a transaction in a Blockchain network, everyone in that network can see and approve the same. However, complex cryptography hides personal information like the name of the user. This is an Ethereum transaction’s snapshot, which shows the transactions clearly with values and ages. All the popular Blockchain cryptocurrencies use different hashing algorithms. As for example, Bitcoin uses a hashing algorithm called SHA-256 and it produces output of 256-bits. Use case: If a hacker wants to hack block 2 and changes the data, it will create ‘Vast changes’ in the 1st and 3rd blocks drastically. And eventually, it will change the output of 4th, 5th, 6th onward every block in that chain completely. This is an impossible task for a hacker to apprehend and that’s why Blockchain is immutable. Small and medium enterprises are the backbone of a developing economy. Blockchain as a revolutionary technology offering data ownership and privacy in a public network. The small and medium businesses are always in the rat-race to get investment and scalability. The Blockchain is an alternative solution to a CRM system for the small as well as medium businesses. It cleans up the bottleneck formed in invoicing, payroll, and inventory. Secondly, the smart contracts assure economic sustainability to the SMEs’. The term ‘Smart Contracts’ refer to the concept of computer protocol or code that runs in the Blockchain. It contains the rules and based on the same two anonymous parties agree to communicate with each other. You can create pre-defined rules for smart contracts. In a nutshell, a smart contract facilitates, verifies, and implements any agreement or transaction without third-party involvement. 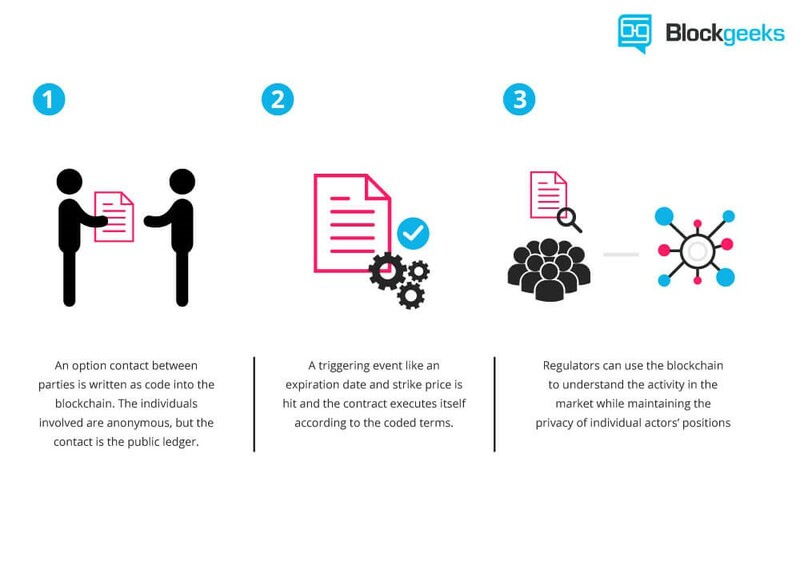 The above-mentioned infographic explains smart contracts step-by-step. 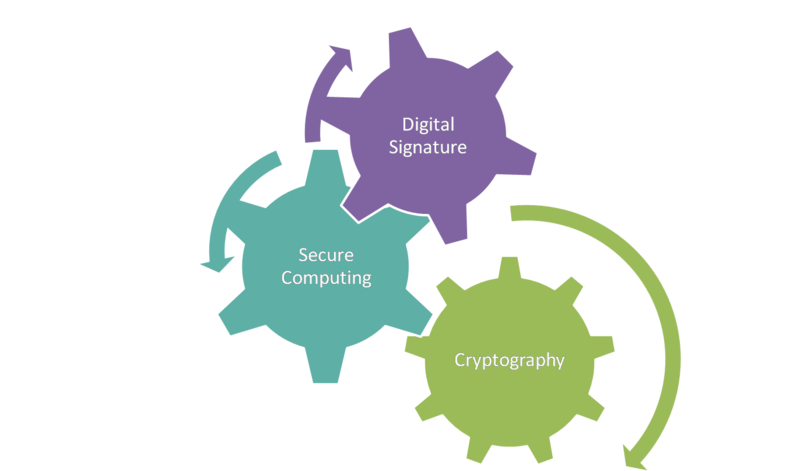 With strong pillars like cryptography, secure computing, and digital signature; smart contracts can benefit small & medium businesses with autonomy, savings, trust, back-up, speed, and accuracy. In addition, blockchain technology gives an independent technology infrastructure to the small and medium-size business as it doesn’t need third-party assistance. At the same time, it reduces cost and improves privacy & security in business. "The future is in blockchainization and tokenization of the finance industry. Blockchain is the most convenient environment in which AML regulation can be applied. All transactions have trusted track records. The wide spread of blockchain in the finance industry results in self-regulation of the financial system and the best option for further development’’. Like the thought of Irina Berkon, Blockchain is the new bright future of the fintech industry. Keeping up with the pace, China Construction Bank has initiated a Blockchain powered platform for cross-bank & cross-border loan insurances. The bank caters to small businesses with this service. In its report, the bank revealed that the platform earned USD 251 million till date. The Blockchain technology is acclaimed to be the ‘Next Internet’ for its never-seen-before features. Initially, it was limited to the cryptocurrencies. However, it is about to extend to all industry verticals like healthcare, finance, supply chain, etc. 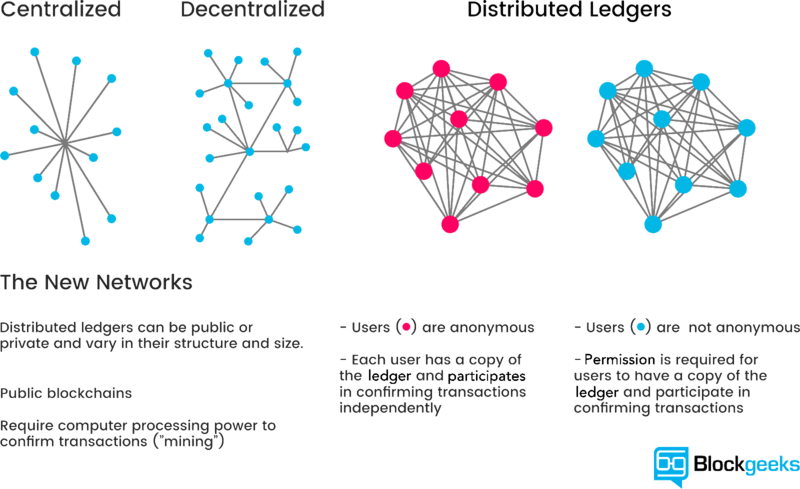 With a decentralized database, Blockchain technology gives you the ownership of the data in a public network!